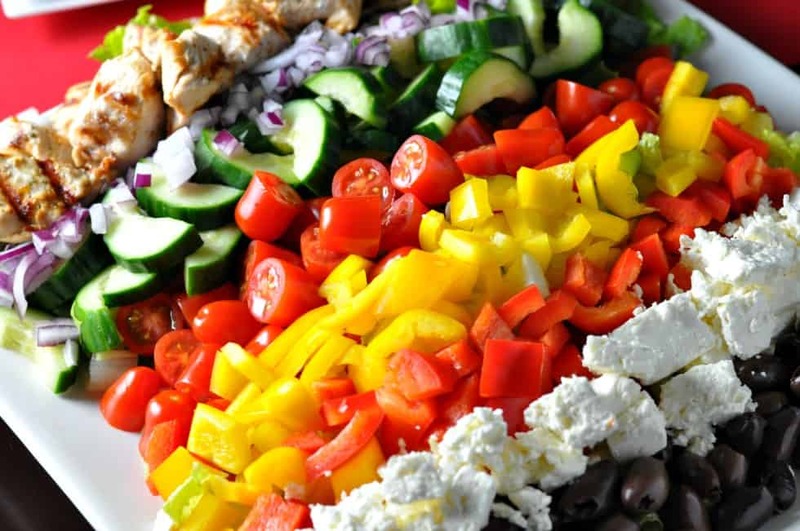 This Greek Cobb Salad is served family style! 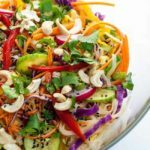 Let everyone choose what they’d like to add to their personal salad. Perfect for picky eaters, or those with food sensitivities. F-r-e-s-h! 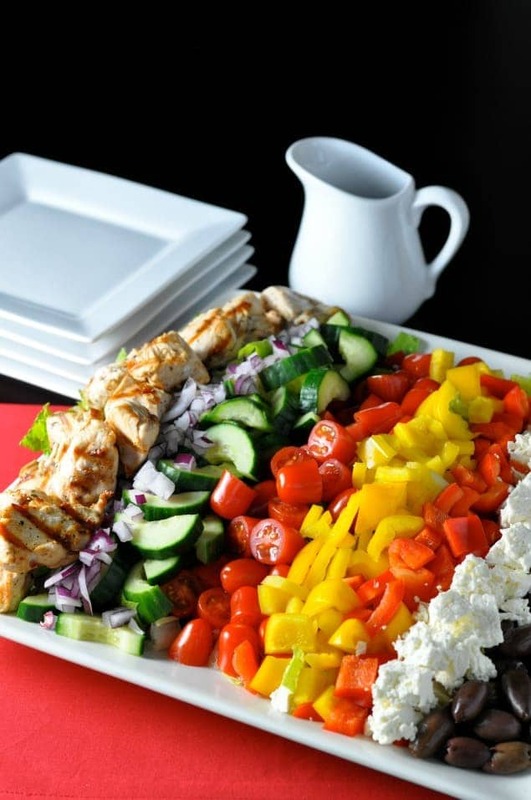 That’s what I’m craving and that’s exactly what this Greek Cobb Salad delivers. I know, I know. It’s not a true Cobb Salad with bacon and eggs, but I’ve discovered that providing food “options” is the best way to feed a family, especially one with dietary restrictions or preferences, or simply to keep those picky eaters happy. 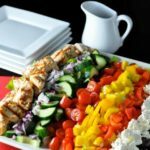 Serving a Greek Salad in Cobb Salad style works for me. 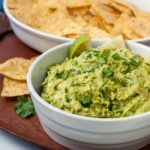 Does your family have a picky eater? or more than one? Some people are more sensitive to different textures than others. Some don’t like different foods touching each other on their plate. And still others like to eat their food in order: all the meat, then all the rice, then all the vegetables, and so on. “That way they end up in layers in my stomach,” is how it was once explained to me, jokingly, of course . . . I think. This Greek-inspired Cobb Salad satisfies all. Family members can choose what they’d like and politely leave what they don’t care for on the serving platter. Note how I’ve lined up the choices on this platter. The olives (which some people despise) are at the edge so they don’t “infect” the other food. So is the feta, easily avoided by those with a dairy intolerance. The chicken is w-a-a-y on the other side, again at the edge, out of respect for the vegetarians. Likewise, the red onions, that some people find a little too strong, are lined up near the outer edge. Everyone happy? Good. 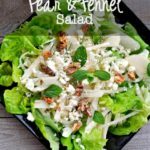 Other than a bit of chopping, this is an easy dinner salad to prepare. Whisk together the vinaigrette ingredients, use one-third to marinate the chicken chunks and save the rest as a dressing for the salad. Grill the chicken while you chop the vegetables, mound chopped romaine on a large platter, and line up the other ingredients on top. Add the chicken just before serving, or make the whole salad ahead of time and serve it with cold chicken. So, show some love to those picky eaters of yours, show respect to those who eat differently from you, take time to sit together, and enjoy this Greek Cobb Salad as a family meal. 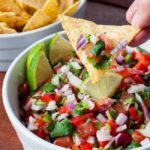 And if you’re looking for similar ideas for a family dinner, try this Skinny Chopped Chicken Taco Salad too! 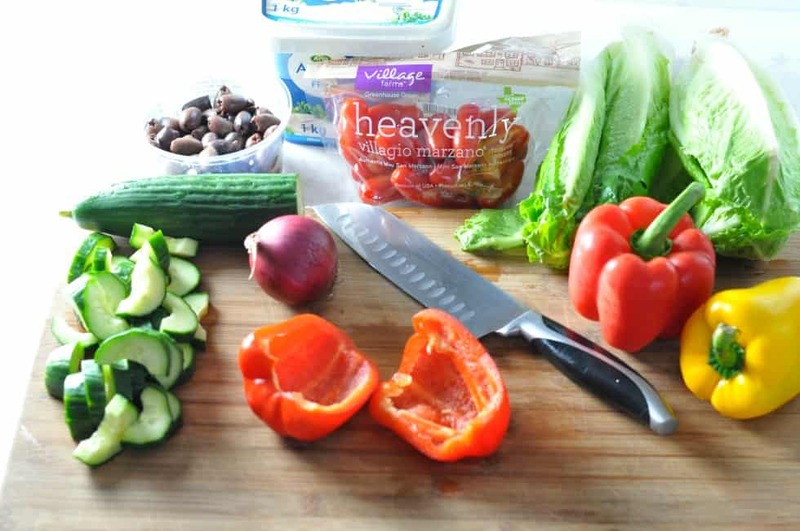 Serve this Greek Salad in a Cobb Salad style, separating the ingredients to keep even the pickiest eater happy. Whisk together the ingredients for the vinaigrette. You will use part of this to marinate the chicken and the remaining as a salad dressing. Set aside to allow the flavours to blend. Chop the chicken and toss with 1/3 of the vinaigrette. Marinate in the refrigerator while you prepare the other ingredients. Chop the romaine and mound on a large serving platter. Prepare the remaining ingredients and line up on the platter on top of the romaine. Grill the chicken and add to the platter just before serving.